The Atrium is a massive modern shopping and entertainment centre located on the Garden Ring, near the Kurskaya Railway Station and Kurskaya Metro Station. 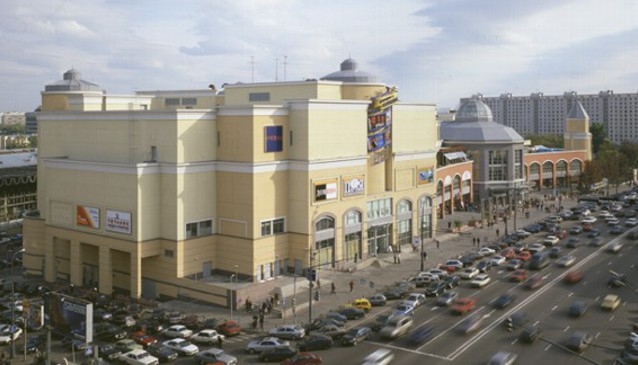 Within its enormous area of 103,000 square metres, you will find hundreds of shops, a cinema complex and much more. Since opening its doors, the Atrium has proved to be greatly popular. Muscovites not only shop in convenient and exclusive retail surroundings, but also relax and enjoy themselves in a variety of entertainment options available. There is something for everyone within the Atrium complex as it literally feels like a city within a city that never sleeps. Head for the cinemas, go shopping, take the kids to the interactive theatre, relax at a cafe or dine in one of the restaurants offering a wide range of world cuisines. In the busy city of Moscow, full of cars, one of the benefits of the Atriums is the multilevel underground car park with a 700 car capacity. It is also possible to have your vehicle washed whilst shopping. There is a useful interactive map of the complex on the Atrium's website where you can see all the outlets available.